Authentic Muay Thai Training from Thailand! Master Cha provides authentic Muay Thai training from Thailand and ThaiTopTeam USA is one of only six authentic Muay Thai gyms in America! Muay Thai kickboxing instills discipline and self-control while improving mental stimulation. Children as young as six years old may participate in the sport while learning trust, care, and respect to lead mentally and physically healthier lives. 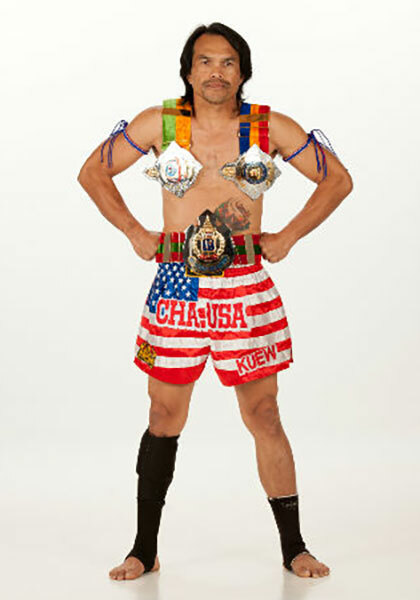 Chutiphat Rungsawang Master Cha was born and raised in south Thailand and has a long history with the tradition of Muay Thai. He began learning Muay Thai in his village community at age 10 and one year later began competing in his hometown. Between 1987-1993, Master Cha demonstrated great success and by the age of 19, became Southernland Champion, holding the title for 4 years. 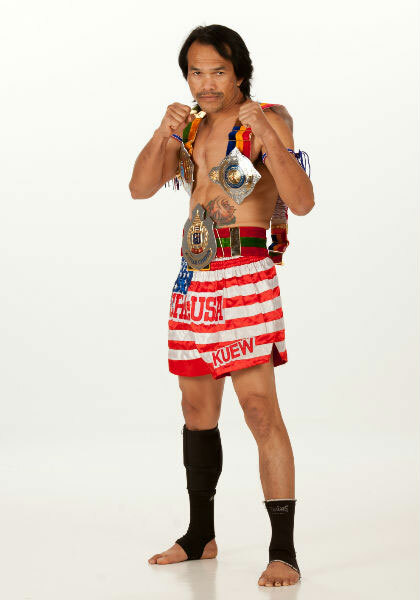 He has competed in both Rajadamnoen and Lumpinee, Bangkok’s largest and most highly respected Muay Thai stadiums. Muay Thai is Called the “ART OF EIGHT LIMBS” due to the striking ability of the hands, knees, legs, elbows as weapons. Due to the raise of UFC & MMA in America Muay Thai is being taught World Wide as the Standup game of the UFC & MMA with its striking skills and brutal leg kick and elbow: Its the only stand up striking game that incorporates the art of the eight limbs: Hands, Knees, Legs, elbow used for striking purpose in protection. As a world renowned, championship award winning Muay Thai fighter, Master Cha provides real Muay Thai training using authentic equipment. Muay Thai kickboxing also incorporates self defense training. Individuals are able to learn and master self defense basics in order to know the right approach to any situation. Mr. Acojedo has also apprenticed under Master Cha, giving him top level Coach/Trainer Instruction as one of the best Muay Thai instructors including fitness/conditioning in the Muay Thai training field. Mr. Acojedo enlisted in the Marines in 1994 and honorably retired in 2014. His vast military training and background continues to give him a strong competitive drive for himself and his students, and has also helped with his participation in many Muay Thai events giving Mr. Acojedo experience inside of the ring/cage. He serves as an official IKF judge and referee attending numerous Muay Thai matches with ThaiTopTeam USA throughout the south. 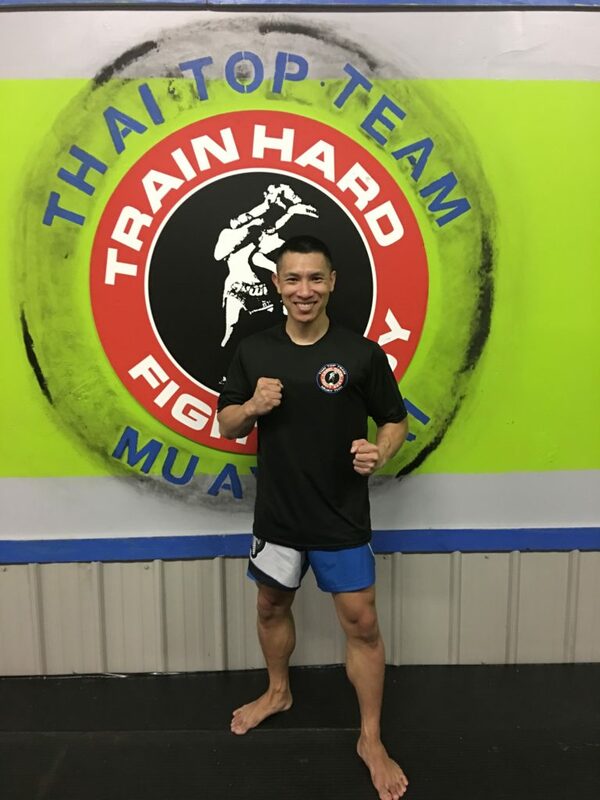 Coach Anton Acojedo is the head trainer at ThaiTopTeam USA in conditioning, to top level instruction for Muay Thai fighters, including competition and all levels of training.